The world “olive” has greek rootes, while the greek word is “elies”( ελιές). The color of the olives shows at what time of the harvesting season they were picked. The Harvesting period in Greece lasts from October to January. The greenest olives are harvested in October, the red or pink in November, the black in December, and the wrinkled black in January. 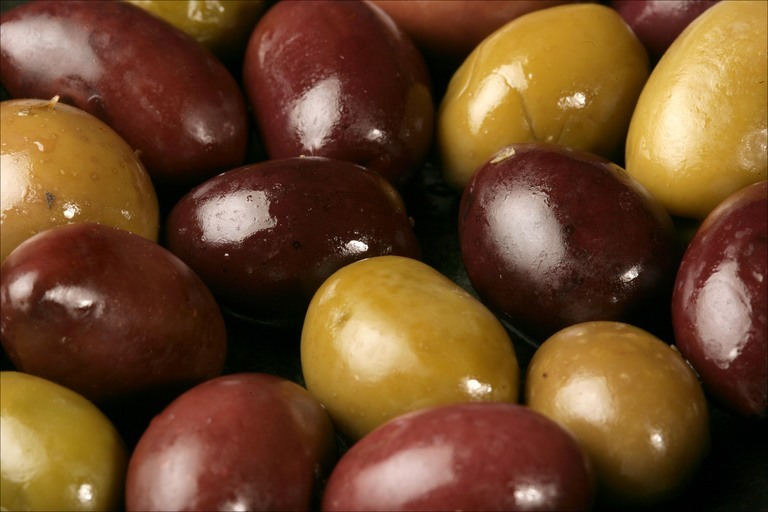 Greece has several varieties of olives, such as Kalamata (Kalamon) black and Halkidiki olives. Greek olives are famous for their unique and superior quality and taste. Since the production of Greek olives is being done by using the less processing possible,(in some cases, only salt and water is needed) they have a natural and original taste. The history of olives production is similar to the one of the olive oil. The first time the olive was used as food was in Crete about 3500 BC in the Early Minoan times. Although olives are grown mainly for the production of olive oil, Fresh, unprocessed olives are inedible because of their extreme bitterness resulting from a glucoside that can be neutralized by treatments with a dilute alkali such as lye. Salt applications also dispel some of the bitterness. The processed fruit may be eaten either ripe or green. Nowadays, the Greek "Kalamata Olive" (Calamon Olive), as well as the black and the halkidiki olives are considered as the best in terms of taste and nutrients. Olives are selected based on three factors, which are the year of harvest, the type and the size. Olives should be eaten within 18 months after production date. Their size varies from very small to giant called as "mammoth". Olives are measured by their number per litre of net content. One litre of net content can hold from 80 to 400 olives depending on the size. Kalamata olives have an eggplant color while they also have an “almond” . They can be easily distinguished from all other olive varieties of the world since they have a unique and splendid taste. The Kalamata olives grow in specific Greek regions usually in South Peloponisos in a limited quantity thus they are considered as a very special product. Kalamata olives as mentioned above are produced by using only traditional methods and no colouring is added during the production procedure This is why the Greek olives which have substantially lighter and more varied colour. 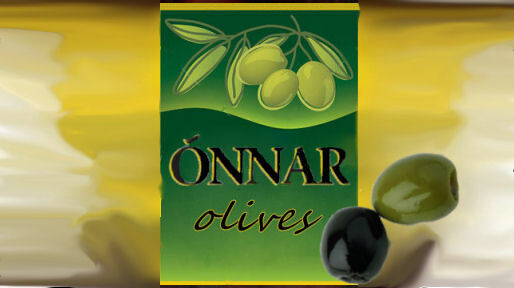 Can be distinguished from the Spanish olives which have a uniform black colour because of the artificial colouring used. Black natural olives are grown in several Greek regions mainly in Central and West Greece. Black olives usually take the name of the place where they grow. The shape of the olive is quite round and one of the biggest of Greek olive varieties. Another characteristic of the black olives is the their color variation according to their maturity. The color varies from green, “blonde” to black, while they are famous for their excellent quality. These are green olives and their name is coming from the region Halkidiki a place in Northern Greece (Halkidiki was the birthplace of the famous philosopher Aristotle). This type of olives are harvested when young, which means that their harvesting season starts at September and finishes no later than end of October. They have a slightly asymmetric shape. Considering the fact that they are collected when they are stil unriped , they need to go through a certain process in order for the bitterness to be removed and to become softer and ready for consumption. This results in a taste that is briny and pleasantly sour with a firm textured meat. The colour can range from bright to pale green while their size varies although in general they come in big sizes.). It is the Greek variety that can be stuffed with ingredients such as garlic, almonds or red peppers.